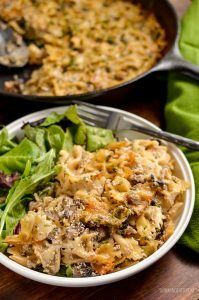 Dig into this heavenly Syn Free Baked Garlic Mushroom and Ricotta Pasta dish – a perfect speed filled recipe. I’m on a bit of a ricotta addition at present. There is just something super indulgent about ricotta and with it being a healthy extra A option, there is no better excuse to keep using it in recipes. One of my favourite recipes with Ricotta is my delicious Spinach and Ricotta Stuffed Pasta Shells following closely by this Butternut Squash and Ricotta Lasagne. I seem to be on a bit of a theme in that all my ricotta recipes are Vegetarian based. That wasn’t at all intentional, but I just find with the ricotta and healthy vegetables added, I really don’t need to meat part and it’s good to throw in the odd meat-free meals too here and there. Of course to keep this truly vegetarian, make sure you use an Italian style hard cheese which is vegetarian-friendly instead of the Parmesan cheese. 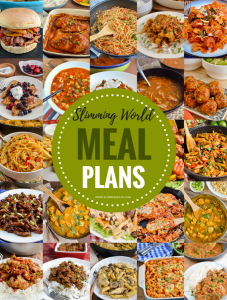 or head on over to my FULL RECIPE INDEX with over 800+ delicious Slimming World Recipes all fully searchable by meal type, syn value or ingredients etc. 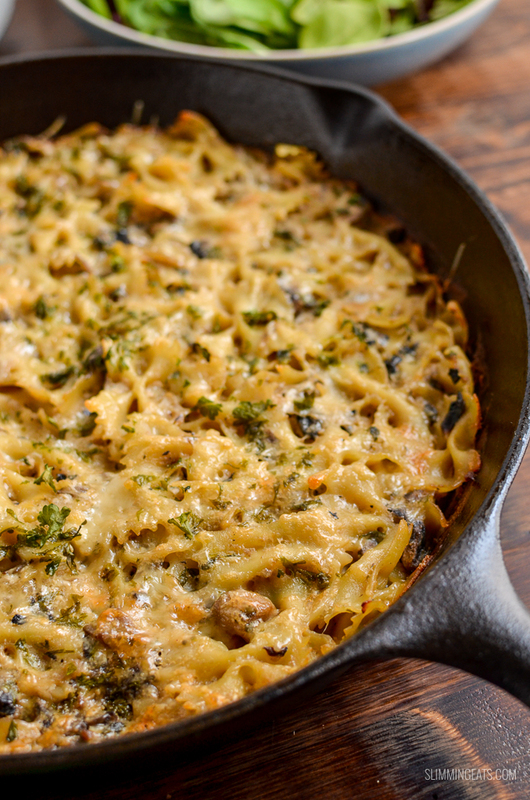 I cooked this Syn Free Baked Garlic Mushroom and Ricotta Pasta in my Lodge Cast Iron Skillet. Cast Iron cookware is some of my favourite items to cook with, mainly because they can be used on the stovetop and transferred to the oven. You know what that means right? Less washing up too, which for me is a must. I love love cooking but hate the cleaning up afterwards. Don’t we all? You can use any pasta shape of choice for this. I used pasta bow’s as it was all I had on hand at the time. 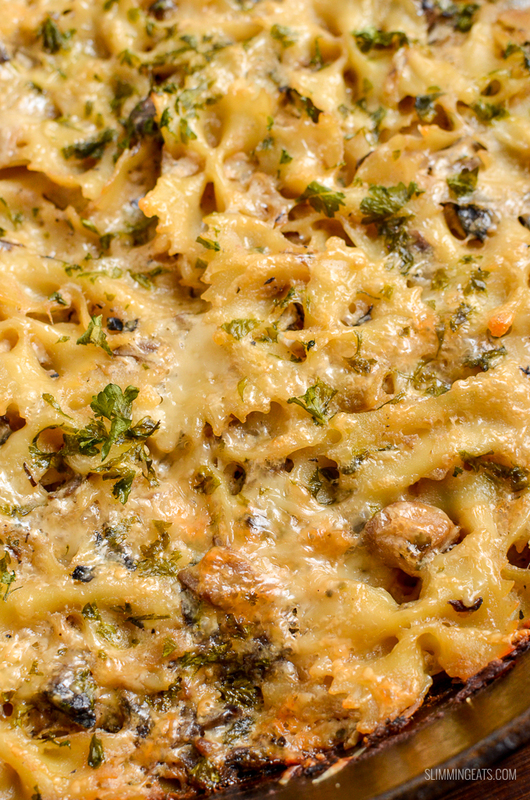 Even whole grain or gluten-free pasta is a great choice. 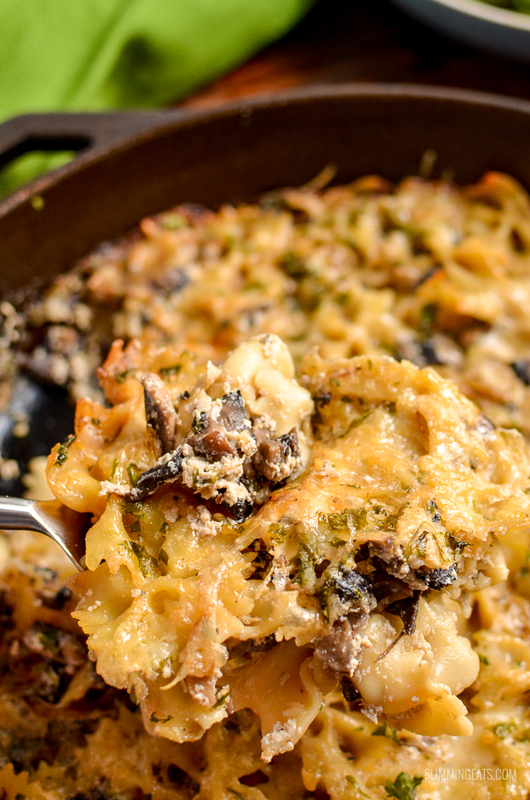 How can I add a 1/3 speed foods to this Syn Free Baked Garlic Mushroom and Ricotta Pasta? 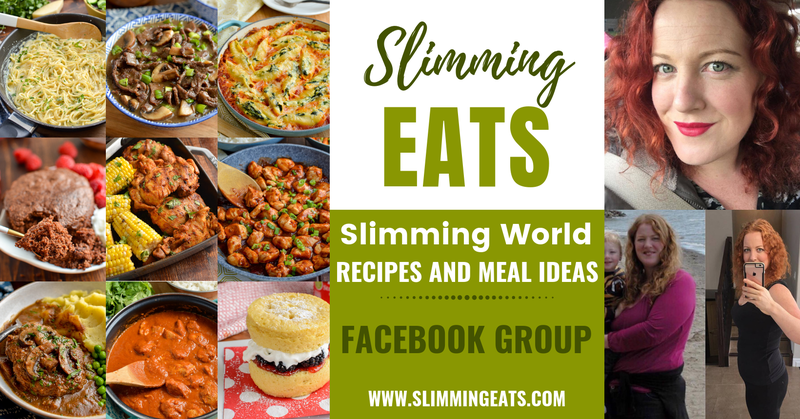 There is already the mushrooms and onion that count towards the speed foods in this recipe, but I also served alongside a mixed baby green salad with a low syn dressing for some additional speed foods, keeping it nice and simple. 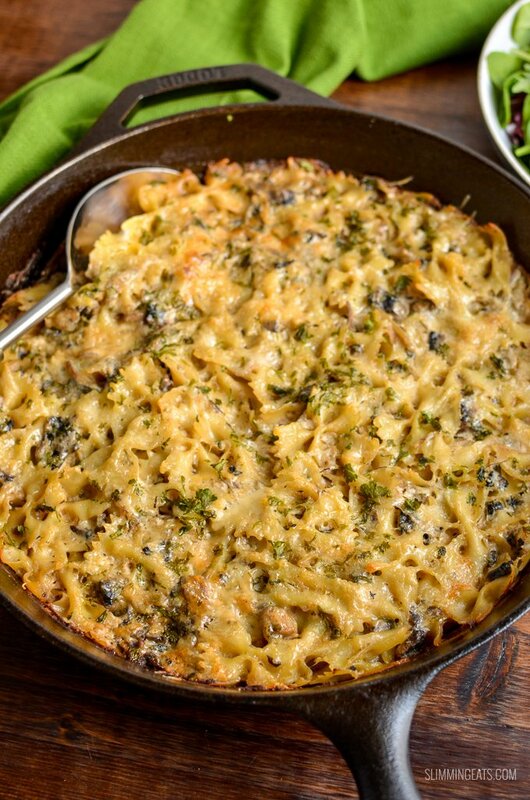 What Kitchen Items do I need to make this Syn Free Baked Garlic Mushroom and Ricotta Pasta? Add the onion and fry for a few minutes until softened. Add in the mushrooms and garlic and slowly add in 1 cup of the stock a bit at time, reducing down until you add another bit. This should give the mushrooms and onion a lovely golden colour. While the mushroom mix is cooking, add the pasta to a saucepan of boiling hot water and cook till al dente. Once the 1 cup of stock has been totally reduced down into the mushrooms, stir in the chopped parsley and add in the other cup of stock and simmer for 5 minutes. 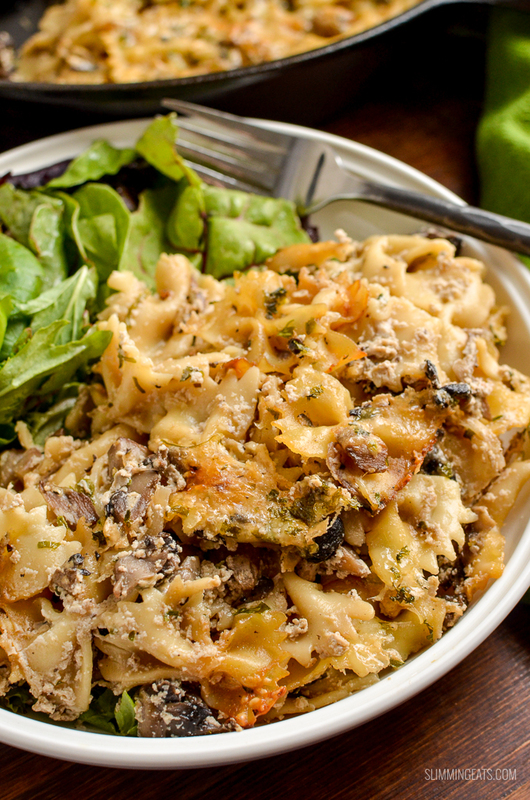 Whisk together the egg and ricotta and stir into the mushrooms. Add in the pasta and mix to combine. Sprinkle with the parmesan and season with some black pepper. Cover with foil and bake covered for 20 mins, then remove the foil and bake for an additional 10 minutes until lightly golden on top. Made this recipe tonight and it was delish. So easy and very yummy. even my 3&5 tear olds demolished it! Made this for the first time tonight. It was lovely! Although the ricotta/egg mix was smooth when mixed into the mushrooms, it was scrambled after baking. Maybe I did something wrong? Didn’t spoil the enjoyment at all but looked a bit of a mess. Not going to stop me making this again though! A big hit in our house. make sure you take off the heat when you stir it into the pasta. I recommend removing the ricotta from the fridge a little while before so it is not really cold too. Ricotta does have a grainy texture though too.